It’s time for a market makeover. 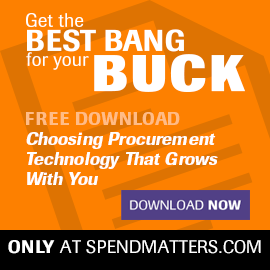 Every procurement professional knows that earlier influence on spending helps increase the value derived from that spend. But by how much? We now turn our attention to Six Sigma – a set of tools to improve process quality. Why is Lean & Six Sigma relevant to procurement? Lean makes a value-adding process like manufacturing more efficient, thereby cutting costs in the supply chain. Here, we share examples of supply chain network design activities closer to procurement (than operations) from a leadership perspective that are appropriate for M&A situations.